Getting the right color printer for your office isn’t always an easy choice. You may want to lean towards a large, impressive machine, but it’s not always the right choice for every business. Some of the best office solutions comes in small packages, like the Xerox Versalink multifunction Printer. This is the perfect office solutions for smaller workgroups who need a mighty solution. 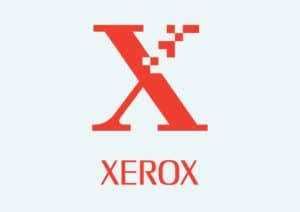 The Xerox Versalink Color Multifunction Printer delivers a lot of power in a small, compact device that fits in about any work space. It’s the perfect solution for workgroups between 2-10 persons and performs powerfully at the heart of your business. This value-packed device gives you what you need to accomplish the jobs your business demands without breaking your budget. The Versalink’s revolutionary delivers productivity like never before by offering next generation. This future proof device is made to ensure that it can provide for you for years to come. It’s flexibility and versatility let you work better without a bunch of unnecessary features. It is also an extremely easy device to use. Minimal IT support and benchmark security make it straightforward to use for just about anyone in your office. It’s no-hassle setup comes with IT-free installation wizards and step by step configuration options to help you get your machine ready for whatever your business needs.